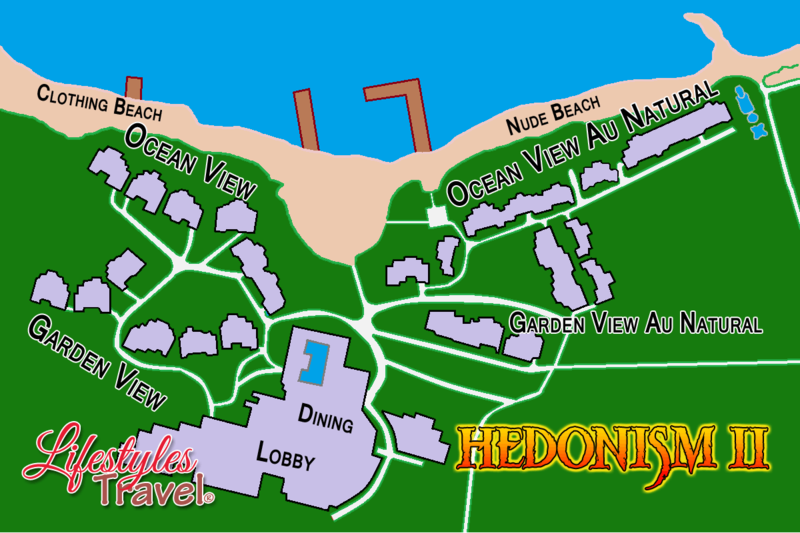 At Hedonism, we offer accommodations on both sides of our lush, ocean front resort. 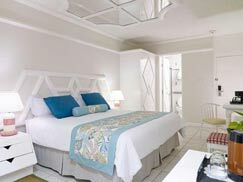 Our Au Natural category features Garden View, Ocean View and our new, fully renovated Premium Rooms located on our au natural side of the resort. 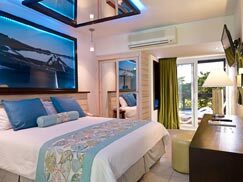 Our Regular category features Garden View and Ocean View rooms located on our quieter clothing optional beach and gardens. 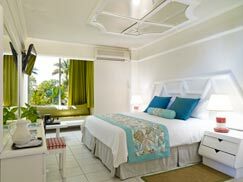 Guests of either category are welcome on both sides of the resort. 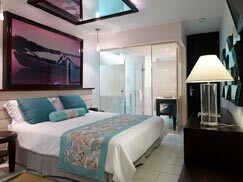 We have listed below the room rates and the current promotions for Hedonism II. Our online booking software will automatically add the promotions to your invoice... no promo codes needed. The promotional discounts are automatically applied. Hedonism reserves the right to terminate a promotion based upon capacity, so book early to get the best rates. If a new promotion comes out after your book with us, we will be there for you to get the best promotion for you.